ASA, the world's top microfinance institution, took initiative to establish ASA University Bangladesh. Mr. Md. 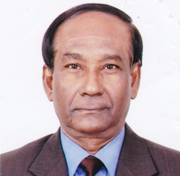 Shafiqual Haque Choudury, the founder and president of ASA and a former Advisor of the Caretaker Government, is the Chairman of the Board of Trustees (BOT) of this promising university. Professor Dr. Dalem Chandra Barman, the Vice Chancellor, is a renowned academician of the country. Now ASA University represents itself as one of the top most universities in Bangladesh since it's approval by the Government on October 23,2006. It is increasingly being recognized in developing countries like Bangladesh that there is a need for professionals who are well trained in the multi-faceted complex interactions of social, economic and cultural factors affecting health and population .Infact,there is critical shortage of such professionals in these countries. So, there exists a window of opportunity for in-country training of high quality at the master's level in public health, which focuses on knowledge, values, action and outcome. In this context, ASAUB started MPH degree program under the Department of Public Health, Faculty of Science & Engineering in the Spring Semester 2011 with a view to contributing for development of Public Health professionals in order to fill up the gaps in this area. The first batch had 46 students. Master of Public Health (MPH) degree program has been designed for highly motivated students with related work experiences or a professional degree as well as a substantial interest in an area of public health. A unique sequencing of courses, community based pragmatic activities and laboratory research provides students with multiple opportunities to define their specialty and to tailor their course of study. Individualized programs are shaped through frequent interactions with faculty throughout the courses, field experiences and the dissertation. An important component of the ASAUBs MPH degree program is the faculty-student relationship, institutionalized in the form of an advisory system. Students are expected to work with their course teachers in selecting appropriate courses and dissertation and learning from all their experiences.